Ukraine may receive the first tranche of $5 billion under a new program with its key creditor, the International Monetary Fund, by March 15, Ukrainian Prime Minister Arseniy Yatseniuk said on Thursday during his public report of the first 100 days of work of the Cabinet of Ministers. 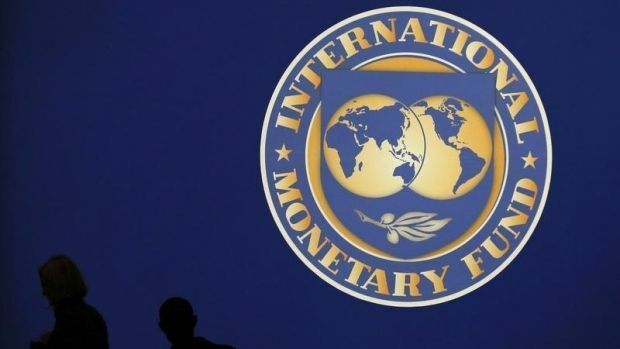 As reported earlier, on March 11, as it was expected in the Ukrainian government, the IMF agreed a medium-term program of financial assistance for Ukraine, designed for four years, under the Enhanced Extended Fund Facility (EFF) and worth a total of $17.5 billion. The first tranche, which will be provided to Ukraine, will total $5 billion, $2.7 billion of which Ukraine will spend to support the country's budget. The new program will stabilize the balance of payments and provide more funding under the best and most flexible terms for Ukraine. International funding to support reforms will also be available. In addition, the Ukrainian government will be able to consult on debt restructuring with its creditors – the holders of the sovereign bonds of the country. The amount of restructured debt could reach $15 billion. The program provides a number of key reforms: effective decisions in economic management, fighting corruption, bringing order to the energy sector, the optimization and reduction of public expenditure, an increase of GDP spending on investment by 3%, a reduction in the number of government officials, and equity in pension reform, with the main task being to reduce or cancel so-called special pensions. In addition, the main task of the new program is to stabilize the banking system and the exchange rate, so that 2016 could be a year of stabilization and economic growth in Ukraine.